One of the loveliest places in Sydney, and one many don't know about, is the Sze Yup Temple in the back streets of Glebe. The temple has been around since the nineteenth century. It is one of the great hidden spiritual sites of the city and has been here since 1898. It's funny, but everyone I tell about this place says me, "There's a temple in Glebe?" People still have no idea that this amazing place is there, even Sydneysiders with a Chinese cultural background. Whenever I mention it people ask me to take them there. The temple is dedicated to the worship of Guan Di, the mythical Chinese general who is the special favourite of soldiers, students and business people. I have something of my own relationship with Guan Di, having spent much time praying at his shrine at the Mingyue temple in Bonnyrigg when I needed help with my academic work. The temples late historian, the brilliant Helen Fong, pointed out a fascinating reason for the prevalence of Guan Di worship amongst the early Chinese diaspora. 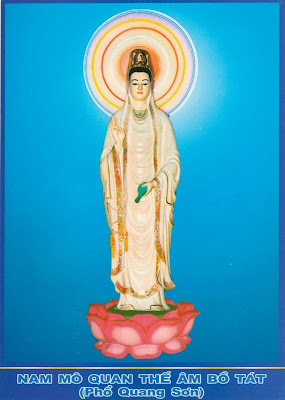 Because these people were overwhelmingly male, they erected temples to a uniquely masculine deity, instead of the far more common and beloved Kwan Yin, the feminine face of the divine who dominates shrines in China (as she does in Vietnam). These men felt they needed Lord Guan Di's example and help in their almost exclusively male milieu. The Sze Yup community (Sze Yup is a district of four counties in Guandong province) were led to the site in the 1890s by a ray of light which they interpreted to be a mystical sign from Guan Di himself. This is the original furnace for burning votive offerings. The temple has experienced several fires, so now all offerings are burned outside. The site was also possessed of good feng shui, being on a slope facing the water and a view of hills. The temple has faced fluctuating fortunes over its history. By the 1970s it was at the point of closing (as so many joss houses across Australia did), but an influx of Vietnamese-Chinese refugees brought new life to the temple, and it has gradually become stronger, more prosperous and lively as various waves of Chinese immigration have brought new communities of worshippers. There is a bus stop just before Pendrill St on Glebe Point Rd. Keen walkers could get there on foot from Central Station (about 20 minutes) or from Broadway Shopping Centre. When the travel writer and journalist Rosamund Burton called me up and said she had tickets to see Dr. Wayne Dyer at his only Sydney lecture, of course I wanted to come. Wayne Dyer is a self-help legend, and the books he has produced in recent years have been very impressive efforts indeed. The fact is, I admire him very much. And he looks uncannily like my Dad, and how can you possibly mistrust a man who looks so much like your father? Dr. Dyer was in fine form at the Darling Harbour Convention Centre, filling an auditorium with over 2,000 people. For a man of 71 he is quite amazing, keeping us all enthralled over the space of four hours (with the backup of personal-coaching guru Cheryl Richardson). ― Samuel Taylor Coleridge - Dyer sees this as a provocative challenge. For most of our lives we live as though our dreams were impossible, the merest phantasms. Real life, we tell ourselves, is made of sterner and less beautiful stuff. Coleridge is telling us that we in fact possess this fanciful flower of our dreams, that it is something glorious and we must allow it to bloom and to be carried over into our waking lives. For every tatter in its mortal dress..." - William Butler Yeats - This piece of verse was read to Ram Dass by Dyer on the event of Dass' 80th birthday. Dyer says it encourages us to live and celebrate. Our material self might be something humble indeed, but it is exalted through being gloried and celebrated. Then ceased like these." - Emily Dickinson - This is it - the end result of all of us. We return to dust, no matter how colourful or dramatic our lives have been. So don't trouble your imagination with worry or sorrow - that too will be dust, soon enough. "Once you label me you negate me." - Soren Kierkegaard - All of us balk at being reduced to our smallest parts, but how often do we do it to others? Each if us is endlessly complex, and no-one deserves to be made small and labelled for the ease of someone else's understanding. “This is my way. What is your way? The way doesn’t exist.” - Friedrich Nietzsche - Dyer tells this to his nitpicking daughter. You must have encountered people who insist that their truth is the only version, and that everyone else is damned by ignorance. This way lies real ignorance, and also unhappiness - being wedded to our own particular views will certainly make us miserable. Unless we acknowledge that there are myriad ways of understanding the world, we will grow despotic and inflexible. "One day I found out that personal history was no longer necessary for me and, like drinking, I dropped it." - Carlos Castaneda - I don't know about you, but this is a challenging one. I am deeply wedded to my character, my past, my memories. I am a nostalgic creature. 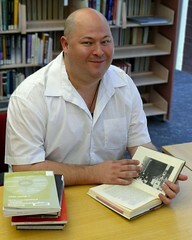 But the great shaman said that personal history is too often an excuse for remaining bound and unsuccessful. Our personal histories justify our fear of shining. We must be willing to change our personal history - completely. This is the way to transformation. "We shall not cease from exploration. And the end of all our exploring will be to arrive where we started and know the place for the first time." - T. S. Eliot - One day I realised my grandparents had stopped growing. They weren't particularly old - maybe just their late 60s - but they had decided to stop learning new things, and to stop "exploring." There could be no more novelty in the world for them. We don't need to be like this. Our learning and growing should be eternal, stopping only when we have realised that we know nothing. Dyer says there is a spark within all of us that requires a lifetime's searching to detect and then to feed. This journey, this internal exploration, must never stop. It's what we're here for. 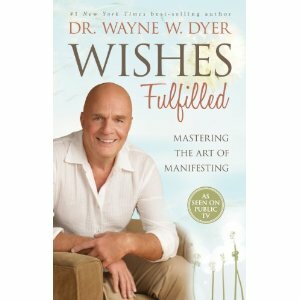 Wayne Dyer's brand new book, Wishes Fulfilled, has just been released in Australia - another Hay House first. It won't be available in the US till March! I got a copy last night, and have already started. Dr. Dyer said it is based on his study of two of the great New Thought teachers: Neville Goddard (normally known simply as "Neville") and U. S. Anderson. It's interesting that he has resurrected two relatively obscure literary figures who were very popular in their day. I think it will make for a fascinating book. Details: Wishes Fulfilled by Dr. Wayne W. Dyer, published by Hay House. Australian art entrepreneur Brian Wallace is one of the great pioneers of modern art in Beijing, and he has brought a selection of his best artists over for a really extraordinary exhibition at the Sydney Town Hall, as part of the City of Sydney's Chinese New Year Celebrations. I visited it today in the cultured and stimulating company of Sydney crime novelist P. M. Newton, and spent an hour or two immersed in the works on display. The premise of the exhibiton is quite novel - each of the gallery's senior artists (i.e. the Red Gate Gallery in Beijing) has nominated a favourite younger artist, and both are exhibited. This has resulted in a stunning and diverse selection, an almost chance-curatorship that is filled with surprises and the most wonderful new discoveries. If you don't know much about contemporary Chinese art, then this is an exhibition you need to see. It is utterly fascinating in its depiction of Chinese soicety as well, and each piece could make up a little part of a collage of modern Chinese history. The exhibition space itself is, of course, just wonderful, and worth the visit alone. The high camp of the Sydney Town Hall matches some of the campier and more whimsical pieces, blended in with other more serious or challenging pieces embracing a broad range of styles and media. Do get along. There is also a programme of on-site artist talks, and also resident artists, so if you time it right you could be in for a fascinating afternoon. And do note, it is an afternoon - the Centennial Hall at the Sydney Town Hall (straight up the stairs and inside) doesn't open till 12 midday. Highlights? I was captivated by the cryptic Buddhist imagery of video artist Zhu Yu, as a plump, bare-breasted woman demonstrated the intricate mudras of Buddhist iconography against the soundscape of a mundane English-conversation learning CD ("You look fantastic today!"). I was also drawn to Han Qing's exquisitely rendered Nightscape, a piece which borders constantly on abstraction, and yet which makes up an entirely recognisable world each time you look more deeply into it. The impossibly handsome Han Qing was actually the artist in residence today, and was seated shyly all alone at a table by himself, but I was too shy myself to approach him. Pity, really, because I am sure he would have had something fascinating to say. 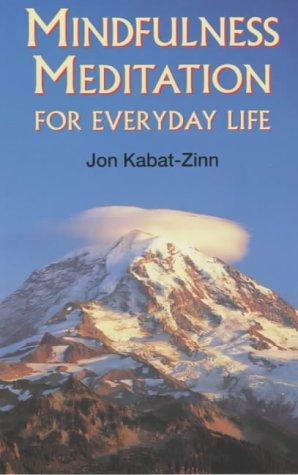 "Mindfulness means paying attention in a particular way: on purpose, in the present moment and nonjudgementally. This kind of attention nurtures greater awareness, clarity, and acceptance of present-moment reality. It wakes us up to the fact that our lives unfold only in moments. If we are not fully present for many of those moments, we may not only miss what is most valuable in our lives but also fail to realize the richness and the depth of our possibilities for growth and transformation"
January 7 is Victory From Genocide Day, a public holiday in Cambodia. It commemorates the end of the Khmer Rouge regime which only lasted from 1975 - 1979, but which saw almost two million Cambodians die. Here are some images from Cambodia which highlight some of the things people remember on this day. A photograph of one of the victims at the Tuol Sleng Prison. This was a suburban high school that was turned into a torture chamber for "enemies" of the Khmer Rouge regime. 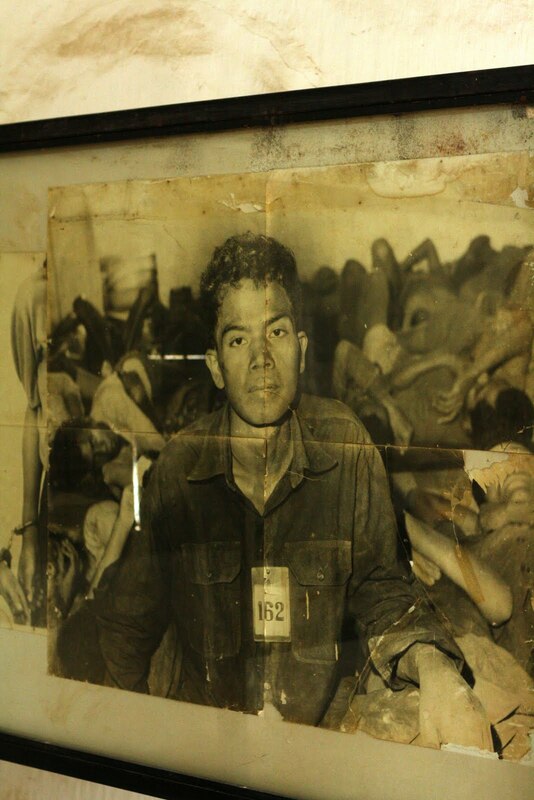 The Khmer Rouge were strangely particular about recording their atrocities, and carefully photographed all of the people they tortured and murdered. When you visit Tuol Sleng now you see the faces of all of those innocent people, knowing the horrible end they must have met. A vandalised photograph of Comrade Duch. 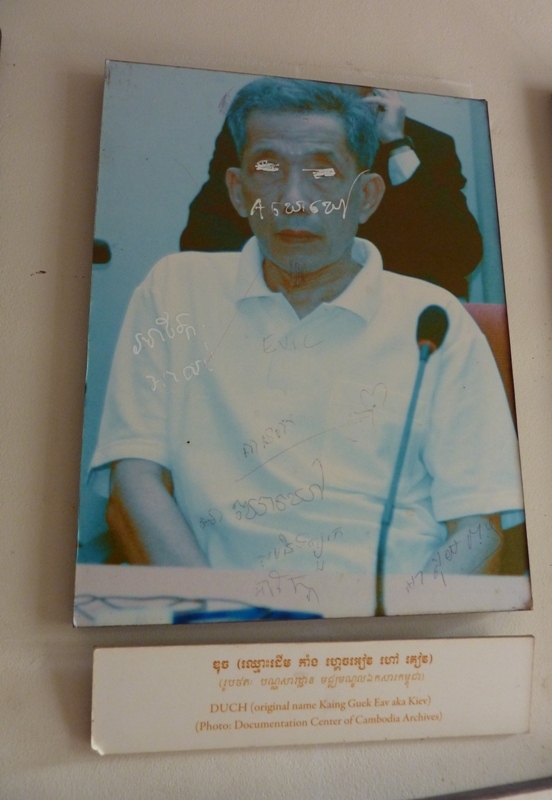 Duch was the commander of the Tuol Sleng prison. He is still alive, and on trial for crimes against humanity. He has converted to Christianity. 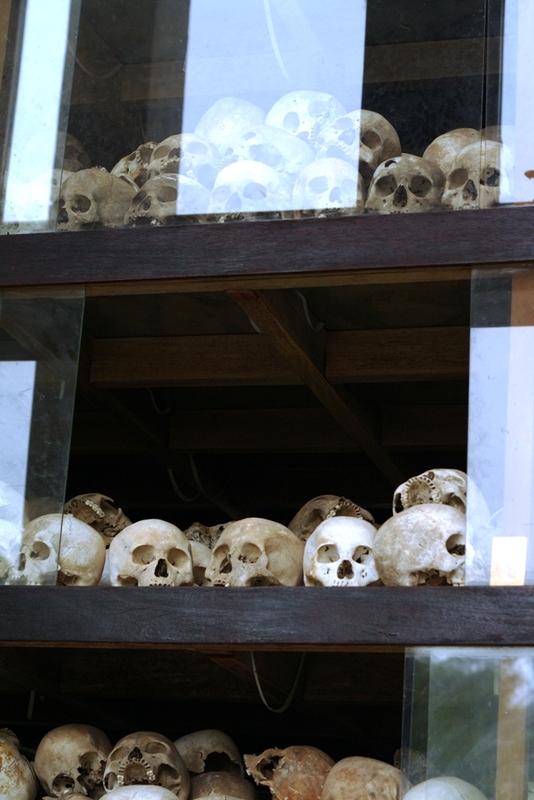 The stupa containing the remains of people buried at the Killing Fields. Thousands of nameless people had their bodies dumped at this mass grave. Their remains were collected and gathered together in this stupa, a traditional Buddhist monument for holding the remains of the dead. I am on the Dukan diet for the forseeable future, and I will be consuming plenty of these babies. There is now a K-Pop Channel on Youtube. Will I ever get anything else done? Lifehack gives us 6 simple steps to achieving our goals. I'm always wanting to improve as a writer, so I read with interest Think New Media's 5 Ways To Improve Your Writing Skills. A defence of the little-known Cambodian cuisine, from Chef Sandwich. Oprah has a new series about visionaries. Modern Tokyo Times gives us a fascinating essay on influential (but previously unknown to me) Japanese artist Tani Buncho. Every time I return to Vietnam there are more and more tourists, and Talk Vietnam confirms that last year saw record numbers of visitors to Hanoi. 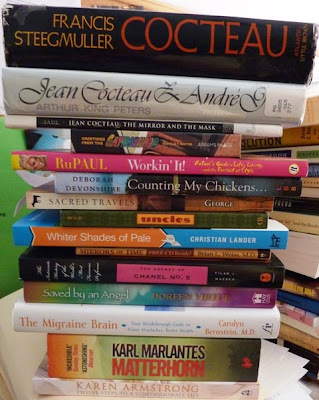 The Blogging Angels give us their best and worst of 2011. Ruminations is going to be doing the Australian Women Writers Reading Challenge this year - and so am I! My house is a mess, but author Elizabeth S. Craig reminds me that I should be spring-cleaning my life, too. IN this weather, a story on 5 secret Sydney beaches is timely - from Get In The Hot Spot. Also a seasonally inappropriate run-down on Sydney's best hot chocolate providers. 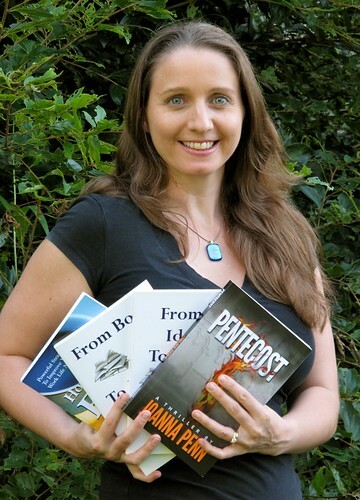 The constantly inspiring Joanna Penn sets out her writing goals for 2012 - one to emulate, I think! 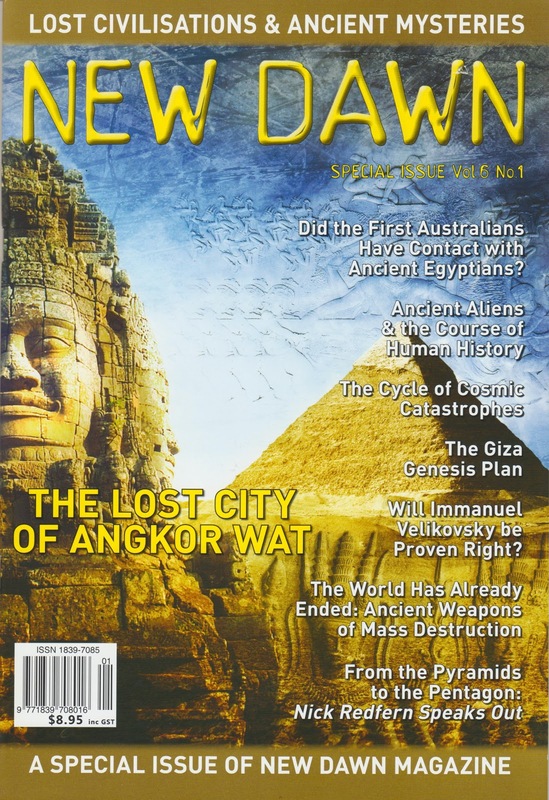 I am headed to Cambodia in February, so I lapped up ZOQY's lovely pics of Siem Reap. I am a contradiction, a mish-mash of conflicting ideas, feelings and personalities. And the worst thing is that I am completely unashamed in my inconsistency. People scratch their heads and glare at me, but it bothers me none. I am always incredibly suspicious of someone with a consistent worldview. They are normally crazy, dogmatic or lying. Often all three. So my blog-browsing reflects something of my unpredictable personality. Want to eat out somewhere really good in Western Sydney, Hong Kong or Cambodia? Well noodlies is there to help. I love this blog - and it's not just because the blogmaster happens to be my other half, and that the fat hand reaching for a bowl of noodles in the pics is normally mine. Well, thet's not the only reason. I love noodlies' unpretentious tone and his advocacy of humble restaurants in suburbs most people are too afraid to visit after dark - and yes, I am talking about my home suburb. Stephanie Dowrick's blog is consistently inspiring, and Stephanie approaches her blog posts with a seriousness and professionalism that is rare in teh blogging world. If you are interested in spirituality, literature and/or personal development you should be reading Stephanie's blog. I think that gossip is an artform, and have been known to while away an hour or so on In Case You Didn't Know, OMG, Queerty and Dlisted. Those are by far the best gossip sites. Blogging and social media are a bit of an obsession of mine, and I get lots of tips and info on Jeff Bullas, We Build Your Blog, Blog Godown and BookBuzzr. Joanna Penn, from The Creative Penn - writing guru. For writing you can't go past The Creative Penn, LiteraryMinded, Writing Bar and She Writes Books. Reading is an obsession, and to keep me up-to-date I consult the Guardian Books Page, Should Be Reading and Reading Matters. Finally, for matters spiritual, I can't go past Buddhist Channel, Spirituality & Practice, Dangerous Harvests and Art and Faith, Too.